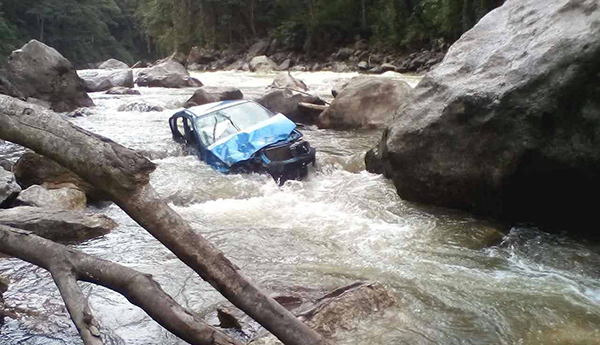 Punakha Police are still looking for the driver, 62, of an Alto, feared to have drowned, after the car plunged into Mochhu River, at around 1 PM, yesterday. The man is a Registrar with Gasa District Court. He had a 30-year-old passenger travelling with him. The passenger has been evacuated and is said to be recovering at Punkha District Hospital. The two were travelling the Punakha-Gasa Highway and veered off the road at Shaktem under Goenshari Gewog. Police are investigating the cause of accident.